One of your most important pieces of equipment, the filter removes both visible debris and microscopic matter to keep your water sparkling clear. Check your manufacturer’s guidelines for backwashing the filter (removing material trapped on or in the filter media). A regular cleaning using SunGuard Filter Cleaner & Degreaser is also necessary to remove oils and deeply imbedded debris that backwashing misses. To fully enjoy your pool, start the season by opening it the right way. If using a solid cover, drain off the water. Don’t let the standing water get into the pool. Fill the pool to the middle of the skimmer opening to ensure proper circulation. Make sure all equipment is clean and in working order, including filter, pump, heater and skimmer. Start the circulation system and remove debris from the pool. Check diving board, slide and stairs for wear, looseness or corrosion. Make sure your filter is working properly—the products you add will not be effective if the filter is not in good condition. Brush and vacuum pool, and skim the top for debris. Use SunGuard Tile & Vinyl Cleaner around the waterline to remove oil, grease and other debris. Shock your pool with SunGuard shock products to remove organic waste and make the water sparkle. Add a SunGuard Algaecide to prevent, control or kill algae. Add SunGuard Stain & Scale Control to prevent surface discolorations and rough spots. You’re ready to swim! Start your regular maintenance program and contact your SunGuard Professional if you need any further help or recommendations. Balanced pool water makes swimming more comfortable by preventing eye and skin irritation. It also helps the chemicals work better to keep water clear, prevents corrosion to metal parts as well as scaling on pool surfaces. There are four key factors to staying balanced. pH, the most important factor in balancing your water, is a measure of how acidic (low pH) or basic (high pH) water is. Based on a scale of 0 to 14, the ideal pH range is between 7.4 and 7.6. If you see your pH level is too low after testing, add SunGuard pH Increaser. If your pH is too high, add SunGuard pH Decreaser. Total Alkalinity is a measure of the water’s buffering capacity or ability to resist changes in pH. It is not the same as pH, but proper total alkalinity does help stabilize pH. If your total alkalinity is too low, the pH level will be very sensitive and suffer drastic swings. High alkalinity, on the other hand, can keep your pH rigidly fixed, in addition to contributing to cloudy water and scaling. Total alkalinity should be between 80 and 120 ppm depending on primary sanitizers for all pools. If yours is too low, add SunGuard Total Alkalinity Increaser according to label instructions. If it’s too high, add SunGuard pH Decreaser. How hard water is, has to do with the amounts of dissolved calcium in it. Pool water needs a proper calcium hardness level to prevent damage or scaling to surfaces and equipment. The desired range for water hardness is between 200 and 400 ppm for plaster pools, and 175 and 225 ppm for vinyl, fiberglass and painted pools. If your water is above 500 ppm, drain some water from the pool and replace it with new water that has a lower calcium hardness. If your calcium level is low, add SunGuard Calcium Hardness Increaser. Use SunGuard Stain & Scale Control to prevent scaling and rough spots. Some pool water contains traces of metals like iron, copper and manganese. The metal content usually depends on your source of fill water. When dissolved metals are in the water, they can cause stains on pool surfaces. Your SunGuard Professional can test for metals in your pool water and advise you appropriately. Even if you only have trace amounts of metals use SunGuard Stain & Scale Control or Metal Out Plus to maintain a sparkling pool surface. The SunGuard Salt System contains a combination of products that have been specifically formulated for salt water pools. These easy to use products provide the perfect pool water environment while preventing scale, calcium and phosphate build up. Each Kit Treats 10,000 Gallons of Salt Pool Water. Sunburst Fast Shock – Provides an instant chlorine residual as well as chlorine stabilizer. UV Defense – Provides the correct amount of UV stabilization to maintain efficient sanitation. Mineral & Scale Control – Provides a base level of scale and mineral control to protect generator cells. A multifunctional product which helps to prevent stains, adjusts pH, protect generator cells, control scaling, replenish lost minerals and clarify the water of pools using salt chlorine generators. Just one 1lb. Bag treats 5,000 gallons per week. Shock, Algaecide and Stabilizer in one. Quick dissolving – For all pool surfaces. Formulated For Salt Pools to extend Salt Generator Cell Life. Prevents Stain and Scale Formation & Eliminates Colored Water (Due to Metals). Helps Reduce Chlorine Loss to UV and Extends Chlorine Efficiency. Prevents Electrolytic System from over working. Removes hard water calcium scale. Restores cell efficiency & extends cell life. Does not contain harsh acids & is not harmful to metals. Getting your pool ready for cold weather can be simple and convenient if you take the proper steps and use the right products. With SunGuard Swimming Pool Winterizing Kit, you can keep your pool clear all winter long. Follow the steps below using the indicated products to assure an easy spring start-up. Take a water sample to your SunGuard Professional for a complete water analysis. Follow your SunGuard Professional’s instructions for balancing. Cover your pool with a well-designed pool cover, we suggust one of our high quality SunGuard Safety Covers or SunGuard Winter Covers. For an uncovered pool or one with a mesh cover, a second treatment of SunGuard Algae Control Plus is recommended about mid-winter or just before the water freezes. The best way to prevent problems with your pool is regular maintenance. The following tips can help you treat common problems with the correct products. As always, contact your local SunGuard Professional if you have any questions or need further assistance. Problem: Green floating algae begins growing on the walls and floor of the pool and spreads rapidly, especially in the presence of sunlight. Solution: Adjust pH to 7.4. Depending on pool’s surface type, use SunGuard Algae Control Plus, Algaecide 30, Algaecide 60 or Maintenance Algaecide, following dosage and use directions carefully. Brush pool surfaces at least once per day until algae is gone. Problem: Black or spot algae first appears as small raised specks on the pool’s surface, then rapidly grows to larger areas, strongly clinging to walls and floor. Solution: It’s highly resistant and can pit plaster surface and cause roughness. Adjust pH to 7.4. Vigorously brush spots with the appropriate brush for the pool’s surface and treat with SunGuard Algae Control Plus, Algaecide 30, Algaecide 60 or Maintenance Algaecide. Problem: Mustard algae, named for its yellowish-tan color, is easily brushed off surfaces, but it quickly returns. It prefers shady areas with poor circulation and resists normal chlorinating treatments. Solution: Take water sample to your SunGuard Professional. Correction will include brushing and the use of SunGuard Algae Control Plus, Algaecide 30, Algaecide 60 or Maintenance Algaecide. Problem: Sometimes called pink or red algae, this is an unsightly but harmless bacteria and fungus combination. It’s easily brushed away, but tends to return. Pink slime collects in and around ladders, skimmers, lights, steps, and plastic surfaces and pool walls at the waterline. Solution: Adjust pH to between 7.4 to 7.6 and thoroughly brush affected areas. Apply SunGuard Algaecide 60. Trouble maintaining a free chlorine residual in the pool water. Problem: Continuous addition of chlorine fails to raise sanitizer level in pool water. Test kit reading shows low to no sanitizer level. Solution: Algae growth causes a drastic increase in chlorine consumption. Refer to the “Troubleshooting: Algae” section. Solution: Take a sample of your pool water to your SunGuard Professional for a complete analysis and follow recommendations. 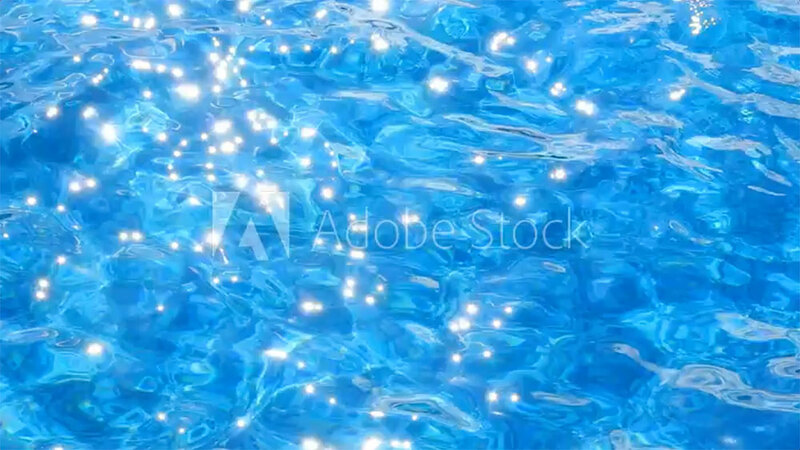 Problem: Unable to see the bottom of the pool, and water lacks sparkle. Solution: Most cloudy water problems are related to poor filtration. Run filter continuously for at least 10 hours per day until water clears. To help speed the process, use SunGuard Super Clarifier, Filter Aid Plus Tabs, or Super Floc-Out. Problem: Weak flow from return inlets, poor to no surface activity, frequent backwash cycles, inadequate filtration due to dirty filter media. Solution: Clean filter chemically twice each season. Use SunGuard Filter Cleaner Degreaser to remove dirt and oil buildup. Problem: High pH (over 7.6) and high total alkalinity (over 200 ppm). Solution: Adjust pH to 7.4 to 7.6 with SunGuard pH Decreaser and see your SunGuard Professional. Problem: Buildup of organic contamination that causes dull-looking water. Solution: Oxidize contaminants with a SunGuard shock product. Problem: Sanitizer level is below 1.0 ppm. Solution: Add SunGuard Stabilized Chlorinating Sticks, tablets or granular chlorinating sanitizer. Problem: Difficulty maintaining 2.0–4.0 free chlorine residual. Solution: Increase amount of SunGuard Chlorinating sticks, tablets or granular chlorinating products. Increase flow rate through your chlorinator and/or circulation time on pump. Problem: Early stages of algae infestation, slick or slimy walls, black spots on walls or floor, mustard-colored dust in areas of poor circulation. Solution: Refer to the Algae troubleshooting tips section above. Problem: High levels of calcium hardness and total dissolved solids. Solution: Take a sample of pool water to your SunGuard Professional and follow recommendations. Problem: Staining appears as discoloration on pool surfaces. These stains may be green, blue, purple, gray, reddish-brown, beige or brown, and they are most commonly caused by copper, iron, calcium, silicate and manganese. Solution: All permanent stains (ones not easily brushed off) are the result of some chemical imbalance or metals present in water. Your SunGuard Professionals should take care of these conditions. The sooner you treat any stain, the better chance of eliminating it. Effective products for stain removal are SunGuard Stain and Scale Control, Metal-Out Plus and E-Z Stain Away. Problem: Rough, sandpaper-like deposits on the pool’s surfaces, and sometimes inside circulatory plumbing like the heater. This condition leads to reduced circulation, loss of heater efficiency, impaired equipment operation and clogging. Solution: Adjust and maintain pH to the ideal range of 7.4 to 7.6. Take a water sample to your SunGuard Professional for possible adjustment of total alkalinity and calcium hardness. Ask about using SunGuard Stain and Scale Control as part of your regular maintenance program. Problem: A prolonged foam buildup that accumulates in the corners of the pool, or bubbles that remain on the water’s surface for more than a few seconds. Solution: Apply algaecides according to use directions. Carefully measure your pool’s volume. Wash and rinse deck areas carefully so cleaning compounds do not go into pool. Use only prescribed surface cleaners on tiles and interior surfaces. Use E-Z Shock, Cal Shock, Multi-Shock or Litho-Shock to destroy organic contaminants. Always read labels and follow directions carefully. Clean up spills as soon as they occur and safely dispose of the material. Never mix chemical products together. Keep chemical product containers tightly closed when not in use. Store them safely and out of the reach of children. Never add water to chemicals—always add the chemical to large amounts of water. When opening a product, point the container away from you to avoid inhaling fumes or getting product in your eyes, nose or mouth. Don’t interchange measuring scoops or place wet scoops back into any chemical container. Keep your pool maintenance products in a cool, dry, well-ventilated area, away from other household or garden chemical products. Store pool sanitizers and oxidizers away from metal products (like bicycles and lawn mowers), because they may cause rust. Wear protective equipment (safety glasses, rubber gloves) as directed on product label. SunGuard Spa products make spa care easy and simple. Clean your spa of any debris. Fill spa with water. If water is from a well or other non-municipal facility, test the water prior to filling your spa. Super oxidize the spa with SunGuard Spa Shock or SunGuard Soft Shock. Run the spa circulation system for at least 2 hrs. Testing your spa water on a regular basis is an important way to ensure that the water stays balanced. Test sanitizer every day that the spa is used and adjust as needed. Test pH at least weekly. If you experience problems with your spa water, take a water sample to your local SunGuard Spa Professional for a complete water analysis. Based on this analysis, your dealer can recommend the SunGuard Spa products you need to keep your spa looking and feeling great! Regular maintenance with SunGuard Spa products will keep your spa looking fabulous with minimum cost and effort. Follow the directions below for beautiful spa water. To keep your spa water comfortable and inviting, be sure to adjust the spa water balance as needed. Balanced spa water is the best way to ensure that bathers are comfortable and the water is clear and ready to use. Balancing spa water includes adjusting levels of pH, alkalinity and calcium hardness to their proper range. pH is a scale that runs from 0 to 14 and measures how acidic (low pH) or basic (high pH) something is, in this case spa water. The correct pH range for spa water is 7.4 – 7.6 or just about in the middle of the pH scale. Proper pH makes the spa water feel comfortable and helps protect equipment and surfaces from damage. Keeping the water in the proper pH range also helps the SunGuard Spa products work their best. If the pH is too high (above 7.6) sanitizers are less effective, surfaces and equipment can scale, water may cloud, and shorter filter runs may occur. Correct this by adding SunGuard Spa pH Decreaser. Low pH (below 7.4) causes sanitizers to dissipate more rapidly, increases corrosion of surfaces and equipment, and may make water irritating to spa users. Adjust low pH by adding SunGuard Spa pH Increaser. Maintain pH level between 7.4 – 7.6. Alkalinity is a measure of the water’s buffering capacity or ability to resist changes in pH. The proper alkalinity range for spa water is 80 – 120 parts per million (ppm). Keeping the alkalinity in its proper range will prevent the pH level from moving too high or too low. If the alkalinity is too low, add SunGuard Spa Alkalinity Increaser. If the alkalinity is too high use SunGuard Spa pH Decreaser. The calcium hardness level in spa water also needs to be adjusted to its proper range. Low levels of calcium (water is too soft) can lead to corrosion of equipment and staining of surfaces. Add SunGuard Spa Calcium Hardness Increaser to raise low calcium hardness. High levels of calcium can cause scaling of equipment (reducing efficiency) and ugly, rough patches on the interior of the spa. Calcium hardness should be maintained between 100 – 275 ppm. Use SunGuard Spa Stain & Scale Control to prevent stains and scale if the calcium hardness is above 275 ppm. For an even easier way to perfectly balanced spa water, use SunGuard Spa pH Secure. pH Secure helps adjust the pH to its proper range and hold it there for up to two months. There is no need to test and adjust calcium hardness levels when using pH Secure. Please follow label directions closely to ensure proper application. Note: pH Secure may cause spa water to turn cloudy when first used. This is a normal part of using this product and the filter will quickly remove the cloudiness. Excessive cloudiness may occur if calcium hardness level is over 250 ppm. Consult your SunGuard Spa Professional for best results. Do not use pH Secure in plaster or tile surface spas. Spa surfaces should be cleaned regularly to remove build-up. Dirt, oil and even bacteria can accumulate at the waterline, looking like a bathtub ring. Regular cleaning of the spa surface preserves the surfaces so the whole spa environment looks and feels better. Brush and vacuum the spa. If you have a skimmer basket, empty it once or twice a week. Prevent waterline build-up with SunGuard SpaZyme Cleaner. This natural product adds enzymes to the water that digest most oils and eliminates them from the water. Add 1 oz. or four capfuls of SpaZyme Cleaner to your spa water weekly for every 500 gallons. SpaZyme Cleaner will prevent waterline build-up, help keep your filter clean, and prevent foaming. Regular draining and refilling is a normal part of spa maintenance. Over time, the spa water will absorb dissolved minerals, chemicals and other material. This may make the water cloudy and irritating, indicating it’s time to change the water. How often you should drain and refill your spa depends on how often you use it. With an average use of 2 – 3 times per week, you should drain and replace your spa water every 2 – 3 months. If you use your spa more often, you may need to do this sooner. Drain the spa water. Check your owner’s manual for information. Clean filter, cover, and spa surfaces. Refill the spa with fresh water. Test the spa water and rebalance as needed. It is a good idea to keep an extra filter cartridge handy. When draining your spa you will need to clean the filter cartridge as well. Having an extra filter cartridge on hand will reduce your spa’s down time. Always keep the cover on your spa. Whether your spa is indoor or outdoor, the water chemistry is delicate and is potentially susceptible to a multitude of environmental factors. To keep your spa clean and clear between uses, be sure to leave the cover on. Every day, bacteria and other contaminants can find their way into your spa water. Proper circulation will help prevent these contaminants from becoming problems. As the water circulates, it passes through the filter and the suspended particles are trapped there. The circulation system also helps distribute the SunGuard Spa products that kill bacteria, prevent problems, and keep the water sparkling clear. Run your spa’s circulation system every day. Check your spa owner’s manual to determine how long the circulation system should run or ask your SunGuard Spa Professional for advice. If your spa has a separate circulation pump that runs continuously, make sure your system is always in good working order. Many spa problems are caused by poor filtration. A spa filter system that is working properly will help keep the water clear by capturing the hair, oils and cosmetics that wash off people when they use the spa. If the spa filter is dirty or clogged, it cannot remove this debris and the material will remain in the water. Most spas have a cartridge filter. Check your owner’s manual for information on how to remove the filter for cleaning. Typically you should clean the filter every four to six weeks. Rinse the filter with a garden hose to remove loose debris. A spray nozzle will work best. Do not use a pressure washer as this may damage the filter elements. Every time you clean your filter, use SunGuard Spa Filter Cleaner to dissolve and loosen the built-up oil and dirt. Return the cleaned cartridge to the filter housing. Replace the filter element as often as the manufacturer or your SunGuard Spa Professional recommends. Before adding any chemicals to your freshly filled spa, be sure to test your house-hold water. By testing the water before adding chemicals, you will be able to spot any excess minerals and/or metals that may already be in the water. This will allow you to adjust the chemicals you add to the spa water, and make sure that your water balance is accurate. The best way to prevent problems with your spa is regular maintenance. The following tips can help you treat common problems with the correct products. As always, contact your local SunGuard Professional if you have any questions or need further assistance. Solution: For removal and prevention of metal stains use SunGuard Stain & Scale Control and SunGuard Spa Natural Clarifier. Regular use of these products helps keep metals in check. Solution: Add SunGuard Spa Alkalinity Increaser to raise alkalinity to 80 – 120 ppm and use SunGuard Spa Natural Clarifier. Solution: Maintain correct levels of sanitizer. Treat with SunGuard Spa Shock and use SunGuard Spa Natural Clarifier. Solution: Use SunGuard Spa Natural Clarifier weekly to remove and prevent oil buildup on the filter and surfaces. For existing oil and visible oily scum on tile and waterlines use SunGuard SpaZyme. A spa can be extremely relaxing and enjoyable, but it is also important that your spa experience be a safe one. Please review the following safety tips before using your spa. Read and follow label directions. Do not overdose. This is costly and may be harmful to both spa users and spa equipment. Always add chemicals to water. Do not add water to chemicals. Store all products in a dry, well ventilated area out of the reach of children. Never store products in direct sun light. Do not store near open flame or near a heat source. Never store sanitizers next to pool equipment. Do not store spa products and garden products (fertilizers, insecticides) in the same area. Keep chemical containers tightly closed when not in use. Do not inhale fumes or allow chemicals to come in contact with eyes, ears, nose or mouth. Wash your hands thoroughly immediately after applying chemicals. Use spa chemicals only. Chemicals formulated for swimming pools use can ruin your spa. Use clean, dry plastic cups or scoops for products requiring measurements. Do not put a wet scoop back in a ontainer. Never drain chemically treated spa water on lawns, plants or into streams or lakes. Do not allow water temperature to exceed 104° F. This is bad for your health and could cause damage to the spa surface. Do not drink alcoholic beverages before or during spa use. If you are on any medication, consult your doctor before using the spa. Shower before and after using the spa to prevent possible skin problems. Due to chemical concentration and possible bacteria, it is not recommended to submerse your head into the spa water. Do not allow children to use the spa without proper supervision. Keep electrical appliances away from the spa. If you are pregnant, have high blood pressure or a cardio-vascular condition, consult your physician before using your spa. Always maintain proper sanitizer level. Insufficient sanitizer level can lead to skin irritation. Clean spa filter cartridge minimum of 1 time per month, more frequently if spa usage dictates. When the pressure gauge on your filter tank reaches 8 – 10 p.s.i. above the pressure recorded when a new cartridge is installed, or when there is a noticeable decrease in the pressure coming from your return jets, it is time to clean your cartridge. When there is a decrease in the pressure from your jets, or when the pressure in your filter tank increases by 8 psi from when the filter was newly installed, it is time to clean your filters. To clean the filter, first remove it from the canister and use a hose to wash away any debris between the pleats. Then soak the filter in commercially-prepared filter cleaner, or spray with the same to remove organic material and oils. In order to remove stains, soak overnight in a solution of one quart bleach and 5 gallons water. Thoroughly cleanse the cartridge with fresh water and reinstall it into the canister. Be sure to follow manufacturer’s directions. DO NOT use a high-pressure car wash wand, a stiff brush or acid wash to clean the filter cartridges as these methods can damage your filter. How to find a replacement cartridge for your pool or spa. Measure the overall length of the cartridge in inches (+/- 1/16), including the end caps. Do not include any handles, strings, etc. A more accurate measurement is made by measuring through the center of the cartridge when possible. If the top and/or bottom is open, measure the inside diameter of the opening (+/- 1/16 inch). Match the cartridge end cap configuration to either a corresponding one on the page or the complete end cap gallery (page #5). Make note of the manufacturer (OEM) and model number of the filter the replacement cartridge will be installed. Take note whether or not there is a center core (PVC pipe in center). Also count the number of pleats (+/- 2). How to compute the square footage of a filter cartridge. Count the number of pleats and measure the pleat depth in inches. Measure the length of the cartridge in inches excluding the end caps. Multiply the number of pleats by 2 and multiply that number by the pleat depth. Multiply the total by the length of the cartridge (excluding the end caps) and divide that number by 144. Solar covers serve a very useful role. Retaining heat and preventing heat loss are the most important ones. A solar covers will also help raise the water temperature a certain amount. The following are tips and ideas that will prolong the life of your solar cover and make the most of your pool ownership. What Are The Benefits of Owning a Solar Cover? Can a Solar Cover Decrease My Summer Time Energy Bill? Yes, according to the U.S. Department of Energy, you can significantly reduce swimming pool heating costs by using a pool solar cover. How Do I Know What Size Solar Cover to Buy? When you measure your pool for your new solar cover, measure the longest and widest points of the pool. Include steps and love-seats. If possible, lay the solar cover over the pool, diamond side down and leave it for a day or two before trimming it. This will allow the cover to “open” a bit and allowing packing wrinkles to fade, giving a better end result. What if I Need to Trim My Solar Cover to Fit My Pool? After your solar cover has come out of the box, and has laid over the pool for a day or two, it is time to trim it. Use a sharp pair of scissors or a razor knife. The idea is to have the cover fit edge to edge, end to end. Cut the solar cover all the way around the pool if necessary; be sure to cut the corners to the proper radius. How Should I Store My Solar Cover? The best way to store your solar cover is with a roller, or a solar cover reel. The solar cover is attached to the roller with straps, and is rolled up when the cover is not in use. Most rollers have wheels that can be used to store the cover and reel when it’s party time or when you just don’t want it around. Most solar covers come with a large bag for storage. You can just pull the solar cover off of the pool, fold it and put it in the shed or garage. When storing your solar cover for the winter, use a swimming pool cover cleaner and deodorizer. Do not leave the solar cover outside during the winter unless it is on the pool, in use. How Should I Clean My Solar Cover? The best way to clean your solar cover is to use SunGuard Pool Cover Cleaner. Wet the solar cover and use a telescoping pole and your pool brush. Squirt the solar cover cleaner on the cover and scrub. You can do this with the cover right on the pool if you want to. When you are done, grab the hose and spray the dirty water into the skimmer opening. It may be easier to remove the solar cover from the pool and spread it out on the lawn (but not right after mowing!). If you have a slope you can spread it on, this will make rinsing easier. For a quick cleaning, you can just hose off the solar cover while it is on the pool. Hose the debris right into the skimmer opening or into the corner and use your leaf net to remove the debris. What Are Some Ways to Extend the Life of My Solar Cover? Never leave your solar covers outside when the pool is winterized. Make sure you keep a chemically balanced swimming pool. Remove the solar cover when you shock the pool, and leave it off for 2-3 days after any chemical treatment. Use a cover cleaner and deodorizer on a regular basis. When stored on a solar cover reel, use a solar cover reel cover to protect it from the sun. When Is It Time to Replace My Solar Cover? When the solar cover begins to flake and get brittle, it’s time to replace it. The first sign of the end of your solar cover is when the diamonds on the underside begin to fall off. The material is recyclable, so when buying a solar cover replacement, please consider the environment when disposing of the old solar pool cover. Do I need a winter pool cover? If you live in a climate where you close your pool for any period of time during the winter months, having a winter pool cover is a near must. Some warmer climates may allow for lighter covers or different styles of protection, but you need to make sure that your pool is covered when it is not in use. This will keep it from filling with debris and protect the liner and other equipment from the elements of weather while it is closed for the season. There are many different types of winter covers to choose from, so you will need to make sure that you explore your options and find the cover that suits your needs. The bottom line is that if you live in a region with an ‘off-season’, you need a different cover to protect your pool. If you do cover your pool, please check with your local Authorized SunGuard Dealer to learn about your local “Laws” or “Code Enforcement” as we’ve found that many areas have special requirements about your pool when it is covered. Choosing a cover is mostly a matter of personal opinion. You do need to make sure that your cover fits the pool and that it’s designed for the use that you have in mind. Above ground and in ground pools have different covers to choose from. You can also choose from winter covers, safety covers, mesh or solid and other styles that are available. Your climate might affect the type of cover that you need, too. For example, in snowy states, a heavy duty cover might be necessary while milder climates might allow for a lighter cover that is less expensive. It’s all about taking the time to see what’s out there and get what you need. Ask your local Authorized SunGuard Dealer to help you purchase your pool’s ideal cover. Where should the water level be for closing a pool with a winter safety cover? The water level should be kept with in 12″ of the top of the pool wall. What is the proper spring tension? Initially, adjust the straps so that the springs are set to at least half compression. This will keep the cover tight and aid in draining. The springs should be checked periodically and the straps adjusted to maintain this tension. Should I treat the pool with chemicals before closing? Be sure your pool has the proper level of sanitizer and algaecide before closing it for the winter. This will insure that the water is clear upon opening in the spring. If the cover is left on when the temperature has gone beyond 60 degrees F., it may be necessary to add algaecide to maintain clarity. Should I remove snow and water from the cover over winter? Large accumulations of snow should be carefully removed, taking precautions not to damage the cover. Likewise if a large puddle of water accumulates it should be removed immediately by draining it to the drain or by using a weighted cover pump. The straps should be adjusted to prevent a reoccurrence. Failure to perform this maintenance could result in stretching or damage to the cover components. Drainage can be facilitated by slightly loosening the strap that runs through the drain areas while tightening the straps away from the drain. A small amount of puddling is normal and will evaporate in dry weather. If you have questions about these or any procedures, please contact your cover installer. How does debris (leaves, pine needles, etc..) affect my cover? Covered pools in heavily wooded areas are susceptible to accumulation of leaves, needles and other debris that will inhibit water flow to and through the “Invis-a-drain”. It is very important to keep the drain clear of debris at all times. How can I protect my cover from abrasive coping? For cover not ordered with sewn on padding, it is required that our loose 2′ x 20′ padding be placed as a barrier between rough or sharp coping and the cover itself. Periodic inspection of the cover is necessary for detection of early signs of wear. Are there any special instructions for removal and storage of the safety cover? The cover should be hosed off removing any debris that accumulated over the winter. If you have a cover with the invis-a-drain you should clear the drain also. Before folding the cover make sure it is completely dry. Cover cleaner and treatments, available at most pool supply stores, are also recommended. Do the anchors require any special care? After removing or prior to installing the cover, clean out all the anchor sockets with a stream of compressed air or water. This biannual cleaning will assure proper anchor function. Applying spray silicone to these components will also be beneficial to their proper operation. When the cover is not in use, screw anchors down completely to keep out debris and to prevent tripping, foot injuries, and cover damage. Solution: Refer to the Algae troubleshooting tips on page 9.